There is only one outstanding and sensational award show that brings all of our favorite sports stars together under one roof, along with a whole lot of slime, slime, slime – yes, I’m talking about the renowned Nickelodeon Kids’ Choice Sports! The highly-anticipated, sports-filled award show will be making its way to UCLA’s Pauley Pavilion in Los Angeles, California with the magnificent Seattle Seahawks Quarterback Russell Wilson hosting for the second year in a row! With every excellent year of the marvelous Nickelodeon Kids’ Choice Sports, there is always one stupendous sports star that is honored with the prestigious Legend Award at the event. The Legend Award recognizes an athlete who has achieved above and beyond in his / her athletic career, but at the same time, has also served as a terrific role model to all of his / her fans. Past Nickelodeon Kids’ Choice Sports recipients include David Beckham and Derek Jeter, both of whom were welcomed into the Legend Award hall of fame with a very special golden sliming. Nickelodeon has just announced that this year’s Legend Award recipient at the Nickelodeon Kids’ Choice Sports will be none other than the iconic, five-time NBA Champion, four-time NBA Finals MVP and two-time Olympic gold medalist Kobe Bryant. Kobe Bryant has accomplished more things in his career as one extraordinary and incredibly skillful basketball player than we could ever possibly imagine, and throughout all this time, he has inspired and influenced basketball lovers and everyone in general to follow after their dreams and pursue their ambitions. Be sure to mark your calendars and catch Kobe Bryant honored with the Legend Award at the Nickelodeon Kids’ Choice Sports airing on Sunday, July 17th from 8-9:30 PM ET / PT. Also, don’t forget to get your votes in to see your favorite sports stars take home a coveted mohawked blimp at the award show! Take a look here for all of this year’s Nickelodeon Kids’ Choice Sports nominees! Head on over to Nick.com/sports and the Nick app for all things Nickelodeon Kids’ Choice Sports including a new Kids’ Choice game, sports-themed videos, photo galleries and more. You can also send in your votes on Nick.com/sports and the Nick app! 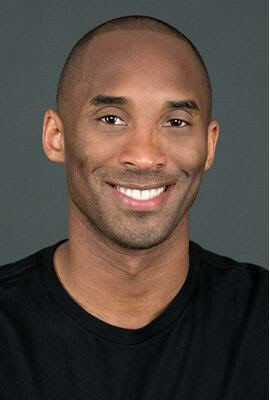 Here at Alexisjoyvipaccess.com, I’d like to send a big congratulations to Kobe Bryant on being honored with this year’s Nickelodeon Kids’ Choice Sports Legend Award! Watch a behind the scenes video of Kids Choice Sports host Russell Wilson below! Previous Article: Jake Miller Is #Goals When It Comes To Music Festivals! Check Out His Firefly Experience Here!